The power line fluctuations and cut-offs cause damages to home appliances. Bseed voltage protector is a low cost solution for protecting equipments from damages. 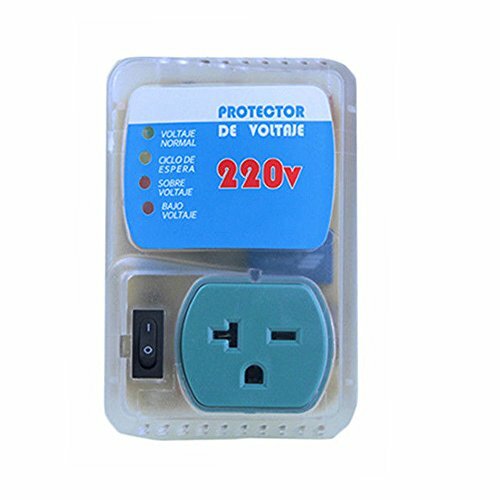 How does the voltage protector work? For the first time you plug in the surge protector, it takes 3 minutes for a voltage detection and connection. It disconnect the power when under/over voltage. Once the voltage turn to normal, it gets connected to the appliance only after a delay of a fixed time. The indicator lights are bight. Use it behind appliances or furniture. If you have any questions about this product by Bseed, contact us by completing and submitting the form below. If you are looking for a specif part number, please include it with your message.